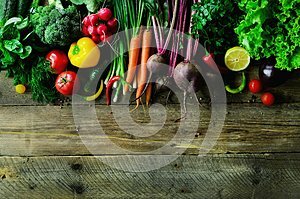 Vegetables on wooden background. Bio healthy organic food, herbs and spices. Raw and vegetarian concept. Ingredients. Banner.